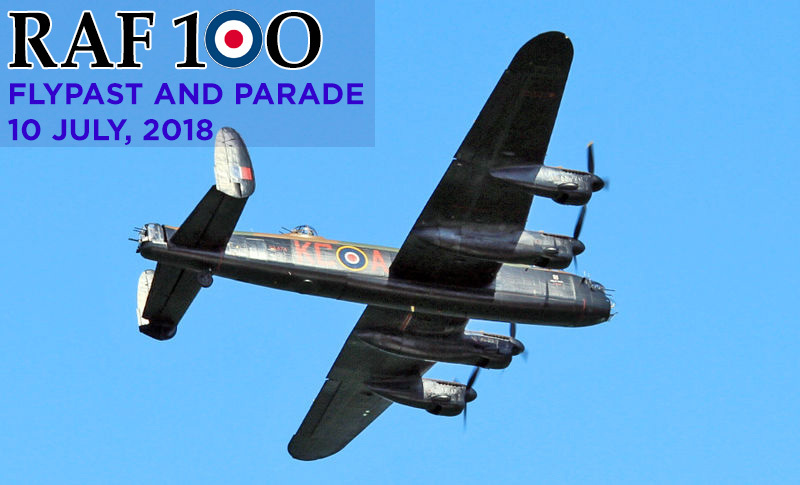 The Royal Air Force will mark its centenary year by showcasing up to 100 jets, helicopters and aeroplanes from a range of different eras, including Spitfires and modern state-of-the-art aircraft. It promises to be a spectacle never seen before and one that won’t be seen again for a very long time. • What's the order of events? Ahead of the flypast itself, there will be a parade of 1,000+ Royal Air Force personnel and another 300 lining the route. That starts at 11.25am and will march up Horse Guards Road and The Mall towards the Palace. • Which aircraft will take part? • C17 Globemaster - military transport vehicle capable of carrying payloads up to 169,000lb (76,657kg). • E-3D Sentry - an airborne early warning (AEW) and command and control aircraft. • Tornado GR4 - The UK’s primary ground attack platform and also fulfils an important reconnaissance role. • Typhoon - A highly agile aircraft, designed to be a supremely effective dogfighter in combat and quick reaction capabilities. • Lightning – The first opportunity for the general public to see the RAF’s next generation aircraft, the Lightning (to be confirmed). • How will it all happen? The formation will continue over the M25, Stapleford Abbotts, Hainault Forest and on to central London. At 1:00pm The Queen, The Prince of Wales, The Duchess of Cornwall, other Members of the Royal Family and members of the public will witness the historic flypast where up to 100 aircraft, representing the RAF’s history, will fly over Buckingham Palace. It promises to be a spectacle never seen before and one that won’t be seen again for a very long time. • Taking part & TV Coverage. The RAF100 Baton Relay will also complete its 100 day journey on 10 July.